Welcome to the Regal Pet Health competition (the “competition”) conducted by Regal Pet Health, a division of Herbex (Pty) Ltd (“Promoter”). These rules are the official rules of the competition (“rules”). These rules (together with any official competition communications) will govern and apply to the competition. Please take a moment to review these rules. By your participation, you agree that these rules will govern all aspects of your relationship with the competition and competition-related agents, and the Promoter. These rules can only be modified (or superseded) by Promoter (in its reasonable discretion) in a written revision to these rules linked to the competition post on Regal Pet Health’s Facebook page or (at Promoter’s sole discretion) any other potential official competition communication methods reasonably calculated to reach a majority of potential participants. • The competition is conducted by the Promoter. • No person who is a director, employee or agent of or consultant to Promoter or who is a spouse, life partner, parent, child, brother, sister, business partner, or associate to a director, employee or agent of or consultant to Promoter is eligible to participate or enter this competition. • This competition is only open to legal residents of the Republic of South Africa who are permanently residing in the Republic of South Africa. • The prize winner must be 18 years or older and supply an identification document to the satisfaction of the Promoter. • The prize winner is the exclusive user of the Facebook profile that they used to enter the competition. • Should the competition be a Share-and-win competition, then the participant understands that the post has to be made public to all other Facebook users in order to successfully enter the competition. • Any person who wins a prize in any Regal Pet Health competition (via the Regal Pet Health Website or Regal Pet Health Facebook page) is prohibited from entering another Regal Pet Health competition for three months thereafter. An instruction on how to enter the competition will be given on the post. The prizes will be announced on the competition post. • Under no circumstances will Promoter and its successors, employees, officers, suppliers, contractors, agents, consultants, directors and shareholders be liable for all and any losses, claims, proceedings, actions, damages, (direct, consequential or otherwise), liability, demands, expenses, legal costs (on an attorney and own client basis), medical costs or other costs howsoever arising out of, based upon, or in connection with (directly or indirectly) the competition, to the maximum extent permitted by law. • If a participant contravenes these rules, the participant may, in Promoter’s discretion, be disqualified from the competition. • The laws of the Republic of South Africa govern this competition. • Promoter reserves the right to cancel or alter any aspect of the competition at any time at its sole discretion without liability. • Participants in the competition understand and agree that in order to offer the competition; Promoter must collect and use personal information about participants. You consent to us processing your personal information. All personal contact details and any other details that are received by Promoter will not be sold or used other than notifying entrants of other events, promotions and competitions. 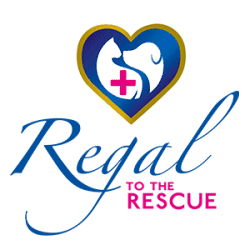 • Winners will either be contacted via the Regal Pet Health Facebook page, by email or by telephone.